I spent the first week of August in the beautiful Chamonix Valley in France. It was a very hot week – a heatwave that lasted around ten days had the Alpine region in its grip. With climate change, very hot days and tropical nights with temperatures over 20°C will become more frequent. Even more so I was happy to escape the heat and go to the mountains! On a sunny Monday morning, I packed my hiking gear and boarded a train in the direction of the French Alps. My companion and partner in crime this week was my mom (yep, my mother!) who joined me in Bern. We stopped in Vevey for lunch and a refreshing dip in Lac Léman. Then we continued our train journey to Martigny, where we boarded the Mont-Blanc-Express. Cameras ready, the express took us through the wild Trient Gorge, climbing higher and higher, revealing pretty villages and thunderous waterfalls. Then finally, we catch a first glance of the majestic peak, the White King, Mont Blanc! 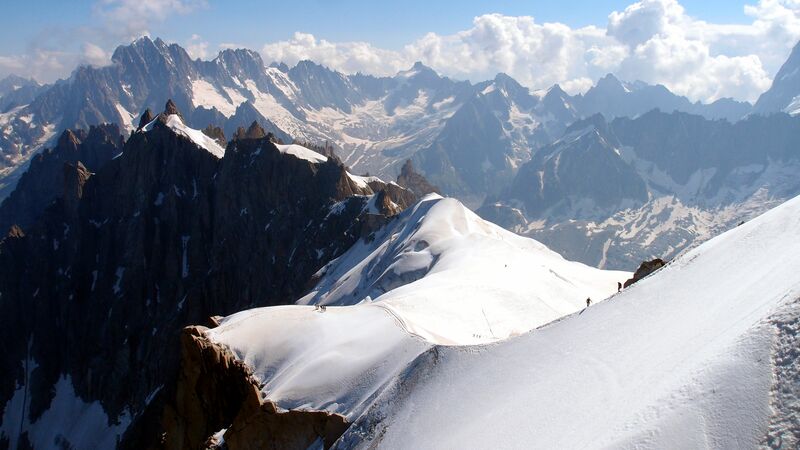 Europe’s highest peak and its glaciers remind me of nature’s magnificence, the beauty of this blue planet! 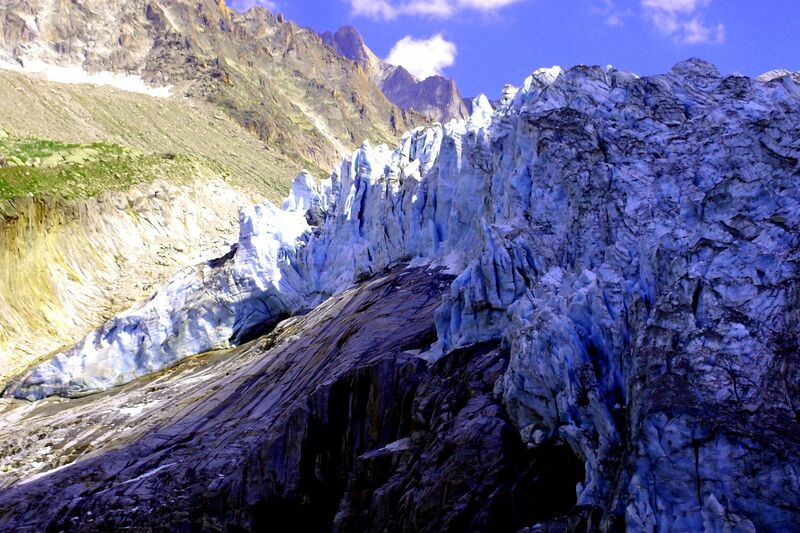 But the glaciers, shrinking from their previous great size, melting away, also remind me of climate change. Climate change, the warming of global temperature, is a wicked problem. It is hard to grasp what the burning of fossil fuels and the emission of greenhouse gases will do to the planet. It is abstract. How could me driving a car in Switzerland possibly have anything to do with the melting glaciers in France? Or how could me flying to Australia have any effect on the ecosystems in the Alps?! That is on the other side of the globe! But the science is clear: “Human influence on the climate system is clear, and recent anthropogenic emissions of greenhouse gases are the highest in history. Recent climate changes have had widespread impacts on human and natural systems.” the Intergovernmental Panel on Climate Change (IPCC) says. The topic of climate change and its impacts on the Alps accompanied us throughout the week: we experienced melting glaciers, rock falls due to thawing permafrost, extreme weather (we actually got caught in a thunderstorm on a summit – not smart!) and the ever-present heat. What also stayed with us was the magnificence of nature, the beauty of the Alps, their white peaks, steep slopes, their ridges and crags, their forests and meadows, and the ice-cold glacier lakes. Whenever I am hiking in the Alps, I become calm. Content. A subtle form of happiness. Stepping one foot in front of the other, step by step, it is like meditating. For once, all my Social Media notifications, messages, the stress and pressure of everyday life, do not matter. I am out of reach anyway. I love hiking, I love train journeys, and I am always a sucker for sustainable projects. That is why I was so excited to hear about this project. Dear YOALIN community, maybe the answer to the world’s environmental challenges as well as our personal challenges is simple: slow down, take a train, go outside. Appreciate nature around you and what is right there, pretty much on your doorstep. youth alpine interrail | © 2018.